CRMSE's Distinguished Lecturers Series gives leading educators and researchers a forum to discuss key issues and emerging strategies in mathematics and science education. The series is designed to bring the science, education and business communities together to encourage conversations about the future of science and math education. Guest Speaker: Dr. Megan Franke, Professor of Education, Graduate School of Education & Information Studies, University of California, Los Angeles. Abstract: This session will explore how attending to the details and partial understandings of children’s thinking can enable teachers to engage students in learning together in ways that make use of the variety of resources that each student brings. We will explore how attending to partial understandings can help us challenge our assumptions, as well as what it looks like in classrooms to make use of the understandings students bring and leverage all forms of participation to support each student’s learning. Directions: From the I-8 freeway take the College Ave Exit. Turn south onto College Ave. Turn right onto Canyon Crest Dr. Turn left onto Aztec Circle Dr. Turn right into Lot 14. The Arts and Letters building is directly to the east of Lot 14. Biography: ​​ Megan Franke is a Professor of Education at the University of California, Los Angeles. Dr. Franke’s research focuses on understanding and supporting teacher learning for both preservice and inservice teachers. She studies how teachers making use of research based information about the development of children’s mathematical thinking support students to learn mathematics. She is particularly interested in how teaching mathematics with attention to students’ mathematical thinking (Cognitively Guided Instruction) can challenge existing school structures and create opportunities for economically marginalized students and students of color to learn mathematics with understanding. She has been engaged in a series of studies with Dr. Webb that link classroom practice and student outcomes in elementary mathematics classrooms. She is a member of DREME (Development and Research in Early Mathematics Education) where she is working on a study of prek-2 coherence and the design of resources for early childhood teacher educators. Her research work to support teachers, schools and communities was recognized with the AERA Research into Practice Award and she was elected to the National Academy of Education. Guest Speaker: Dr. Philip Bell, Professor of Learning Sciences & Human Development, Shauna C. Larson Chair in Learning Sciences, University of Washington. Watch video of talk and discussion below. Abstract: The new vision provided in the NRC Framework for K-12 Science Education and the resulting Next Generation Science Standards provide a collective opportunity to broadly promote equity and social justice in education. These policy documents highlight that learning is fundamentally a cultural as well as a cognitive process—and that science learning experiences should be designed to overlap with the lives of youth and their communities in order to heighten meaning and relevance. I will highlight how building capacity and tools to support these shifts can be approached through sustained research-practice-community partnerships focused on identifying shared aims and improvement strategies to engage problems of educational practice. I will share multiple project examples to illuminate this strategy and associated research findings. Phil met with practicing teachers for a roundtable discussion pertaining to"English Learners and Science Learning," held on Friday, 3:30-5:30 at CRMSE, 6475 Alvarado Road, Suite 218, San Diego. Biography: ​​Philip Bell is a professor of the Learning Sciences & Human Development and holds the Shauna C. Larson Chair in Learning Sciences. He is executive director of the UW Institute for Science & Math Education focused on equity-focused innovation in K-12 STEM education, and he is co-director of the Learning in Informal and Formal Environments (LIFE) Science of Learning Center. Bell pursues a cognitive and cultural program of research across diverse environments focused on how people learn in ways that are personally consequential to them. He has studied everyday expertise and cognition in science and health, the design and use of novel learning technologies in science classrooms, youth argumentation, culturally expansive science instruction, and scaled implementation of educational improvement. Bell served as a member of the Board on Science Education with the National Academy of Sciences for eight years, co-chaired the National Research Council consensus report effort on Learning Science in Informal Environments and served on the committee of the NRC Framework for K-12 Science Education that was used to guide development of Next Generation Science Standards. He has a background in human cognition and development, science education, computer science, and electrical engineering. Bell is also currently editing a series of research- and practice-based tools for science education called STEM Teaching Tools. The effort is providing resources for equity-focused improvements in science education. Guest Speaker: Dr. Rochelle Gutiérrez, Professor of Mathematics Education, Department of Curriculum & Instructions, Latina/Latino Studies, University of Illinois at Urbana-Champaign. Watch video of talk below. Abstract: Most teachers strive to make a positive impact on all of their students, but schooling contexts can change that. High stakes testing, Response to Intervention initiatives, Race to the Top campaigns, Common Core State Standards, new teacher evaluation systems, and the latest packaged reforms can keep teachers from acting on what is in the best interest of students and their learning. Even when teachers do not agree with a school policy or they face colleagues who hold low expectations for students, they may not feel prepared to take a stand. After all, most teacher education programs do not focus on preparing their graduates for the politics of school contexts or knowing how to strategically take risks in their teaching. So, what might the work of teaching look like if teachers had professional development in the area of the politics of teaching? How might they view their roles as teachers and what actions might they take? With funding from the National Science Foundation, I have been working with a group of teachers over the past 6 years to develop their political knowledge and their propensity to take risks on behalf of their students. These teachers advocate for their historically marginalized students (students who are Black, Latin@, emergent bilinguals, recent immigrants, etc.) to learn rigorous, creative, and meaningful mathematics and to develop more robust mathematical identities. I will report on the politics of teaching mathematics; the ways in which these teachers view the profession and their roles within it; as well as how they interact with colleagues, administrators, and others so that they are successful in advocating for youth and themselves. 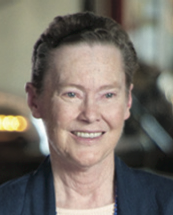 Guest Speaker: Dr. Helen Quinn, Emerita Professor of Physics at Stanford Linear Accelerator Center, member of the National Academy of Sciences and Chair of the science workgroup at Stanford’s Understanding Language project. Abstract: Dr. Quinn talked about how the NGSS- oriented science classroom is rich in experiences with phenomena and in student-to-student discourse. These are exactly the conditions needed for language learning. Hence with appropriate teacher attention to inclusion and language demands the science classroom is an ideal venue for supporting language development. Download slides of Dr. Quinn's talk. The Mindset Revolution: Teaching mathematics for a growth mindset. Abstract. In recent years scientific studies have demonstrated that student and teacher ‘mindsets’ have a profound impact on learning. Students with a ‘growth mindset’ (Dweck, 2006) who believe that intelligence and ‘smartness’ can be learned and that the brain can grow from exercise learn more effectively, displaying a desire for challenge and showing resilience in the face of failure. Such behaviors encourage greater math persistence, engagement and high achievement. Mathematics teachers play a critical role in the development of mindsets and this session will review the ways to teach for a growth mindset, including attention to classroom norms, math tasks, questions and assessment. In this session Jo highlighted some of the work she has been doing around mindset, mathematics and the promotion of equity, and engaged everybody in thinking about ways to take the work forward. Scroll down to watch the video of her presentation below. Biography: Dr. Jo Boaler is a Professor of Mathematics Education at Stanford University and founder of youcubed. Former roles have included being the Marie Curie Professor of Mathematics Education at the University of Sussex, England, a mathematics teacher in London comprehensive schools and a lecturer and researcher at King’s College, London. She is the editor of the Research Commentary Section of The Journal for Research in Mathematics Education (JRME), and the author of seven books including What’s Math Got To Do With It? (2009) Penguin, US, and The Elephant in the Classroom (2010) Souvenir Press, UK. She is the author of the first MOOC on mathematics learning for teachers and parents, a White House presenter and an advisor to the PISA team at the OECD.